We survived No Spend October, extended it into November and have just returned from a fun holiday week with my family, it’s time to get serious about driving down my debt balances again. As I mentioned in a previous post, I was able to save enough to pay a good chunk towards my tax debt the week before Thanksgiving. 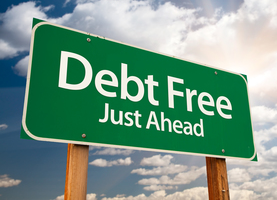 I had decided before the overwhelming success of No Spend Month, that the next debt I would zero in is the outstanding tax debt left over from my marriage. While the interest rate is not as high as my credit card, the mental burden is HUGE! And I want it gone. I’m going to continue to pay the minimums on all other debt (except my car payment which I will continue at $400 per month instead of $308.) And then at the end of every month, make an extra payment to the tax debt based on my income that month. Anticipating that work will continue to be steady and continue to grow, my goal is to have this debt completely eliminated no later than January, 2019. But I hope to pay it off in December by sticking to a more frugal monthly budget as we did in October. As of now, the balance is right around $1,001. How is the Christmas budget going? It’ll be nice for that tax debt to be freed up in time for you to put that money towards your student loan. I ‘m hoping this debt update has your credit card still at $3000. Once you have high interest debt that number creeps up if you don’t stay on top of it. DR would be the first person to tell you to focus on ONE goal at a time. 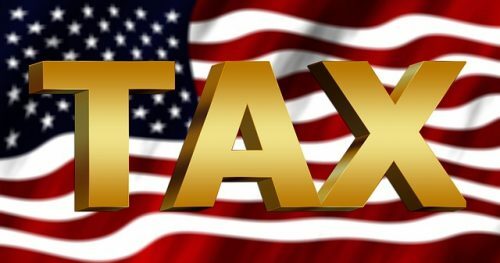 Stop paying 400 on the car until you’ve paid off the taxes. Pay 320 on the car if you want. You’ll get the tax bill paid off faster that way! As DR might say, sounds like she’s doing a Dave-ish plan, which he does not have a high opinion on. So? I don’t think the strict DR plan is for everyone. It works for some, maybe for most. But not for all, because we are all unique individuals. Back three plus decades now, I found myself in deep consumer debt, in my 20s. I buckled down and figured out, on my own, a plan similar to what is now the almighty DR plan, and paid it all down, but I made it work for me. There hasn’t always been this “foolproof” method, although the rise of the program is based on sound principle…not the only way, though. If it doesn’t work for you, it simply doesn’t work. Great goal, imho. Achievable. Huge check-off. I for one applaud you for bumping your auto payment to a consistent $400, as though that were the required payment. Paying the minimums is not always the answer; imho, it just extends the agony sometimes, for some people. You do what works best for you. I feel kind of “whatever” about the extra car payment. True, it would probably be better overall to just focus — over the years, focus has been a real issue — but if you can keep paying debt at this pace you’ll be done with the tax debt very shortly and moving on to the credit card. You really really really need to just *pay that down* once the tax debt is gone. Get it to zero for once! Preferably in time for your student loans to come out of deferment.